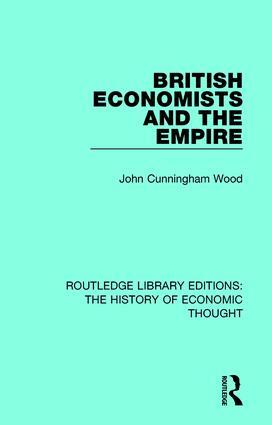 This study, first published in 1983, is primarily concerned with what the British economists over the period 1860 to 1914 wrote on a range of economic and non-economic aspects of the British Empire, and the reasons for their conclusions. The attempt is also made to correct the view that mainstream British economists after 1860 were antithetical to the concept of empire. This title will be of interest to students of economic thought.